Deep, rich elegance with every step. 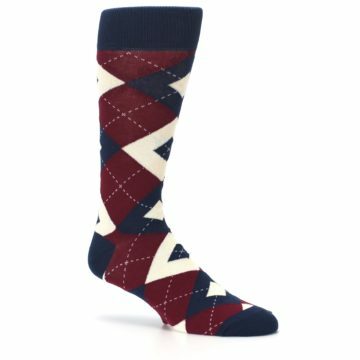 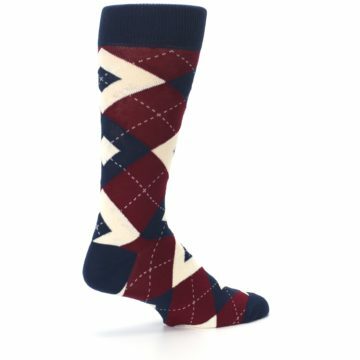 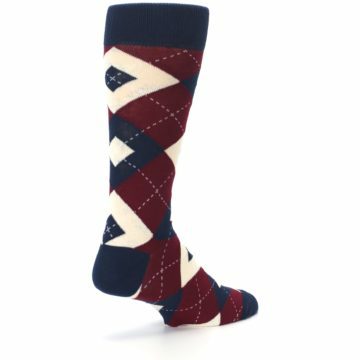 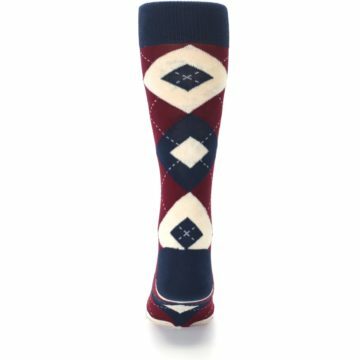 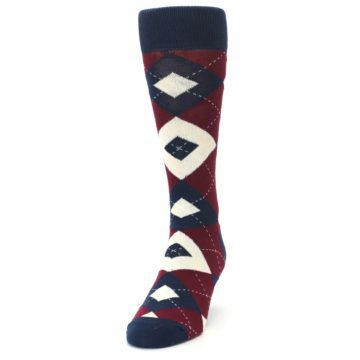 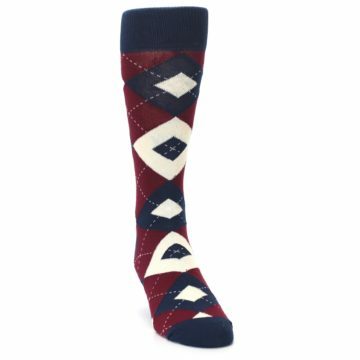 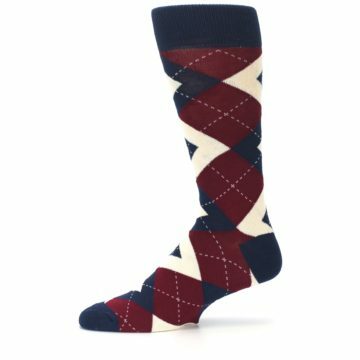 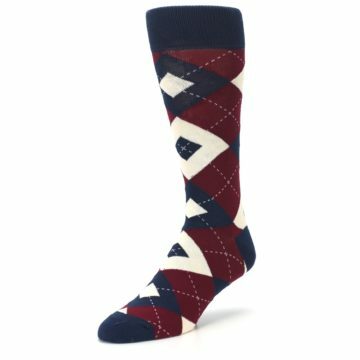 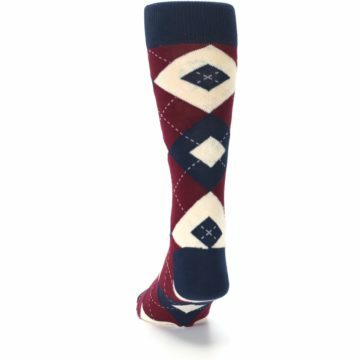 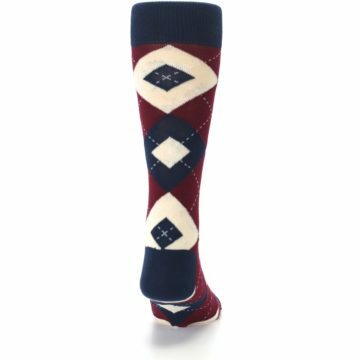 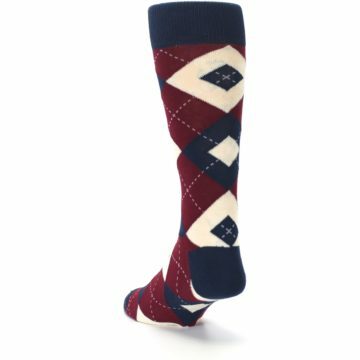 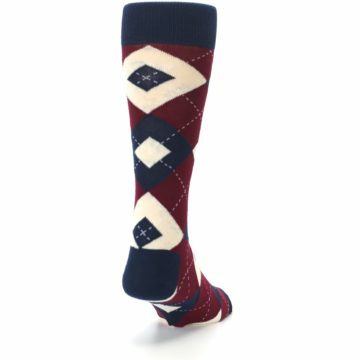 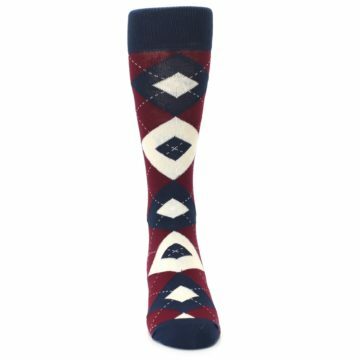 These burgundy and navy argyle socks proclaim class and style all year round. For the deep, classic and elegant couple, this pair of wedding socks is a solid foundation to walk down the aisle with. 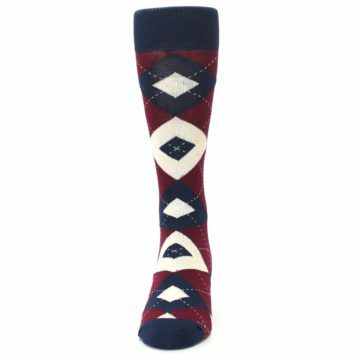 Dress them up for the big day and wear them for the best wedding socks and groomsmen socks, then wear them to work and out on the town for cool socks long after your big day. Want to take it one step further? Add a monogram, date or short message for personalized socks that make your outfit and occasion that much more memorable. These burgundy groomsmen socks are a great match to the burgundy dresses from popular wedding stores. 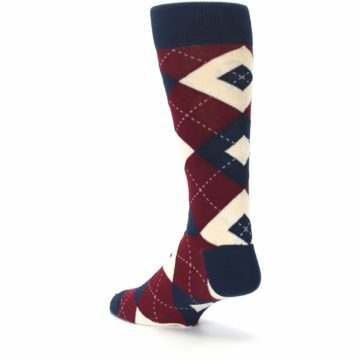 Burgundy is a rich, dark red that is the perfect color for fall weddings and pairs well with navy, gray and champagne. 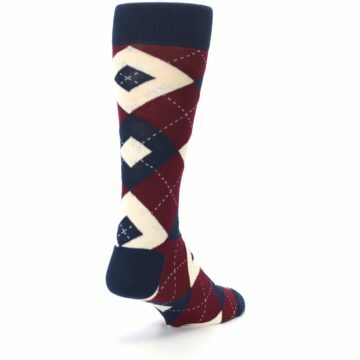 Fantastic quality and fantastic colour!